Text by Vittoria Biasi – translated by Salvatore Rollo. All Texts are 1F mediaproject copyright. All Rights Reserved. 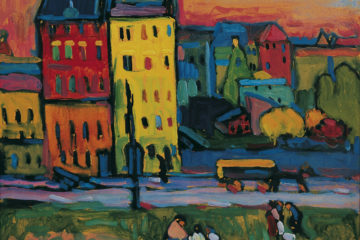 The Modern Art Museum pursues the extraordinary tradition to introduce the most important artists one man-exhibitions. 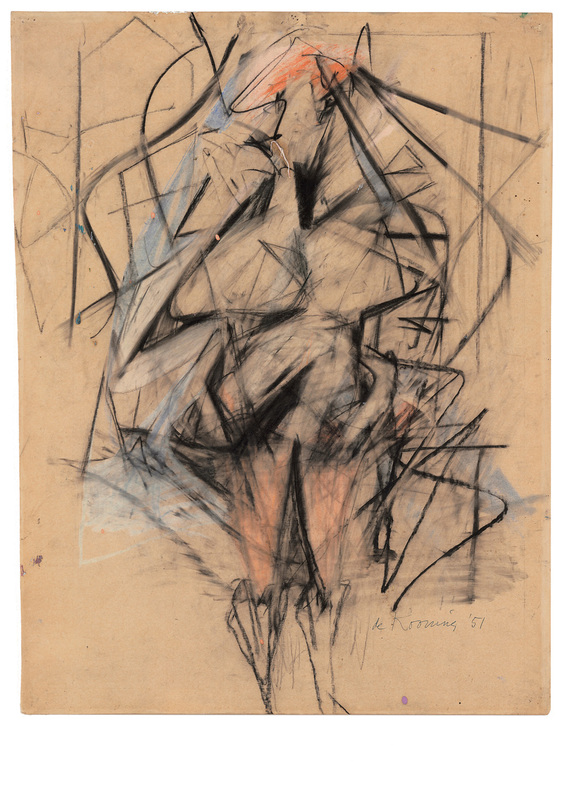 The MoMa has been the first to offer the retrospective of De Kooning in the U.S. during 1969. 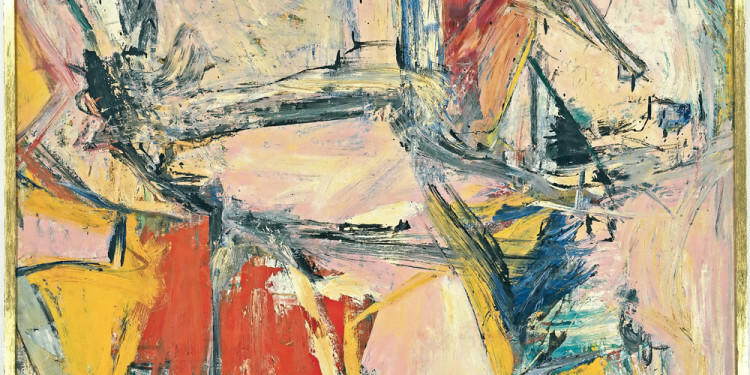 The exhibition is coupled with the “de Kooning. A Retrospective” book with John Elderfield’s introductory essay (Emeritus sculptor and painter), and the contributions of Lauren Mahony, Jennifer Field, Delphine Huisinga, Jim Coddington, Susan F. Lake. 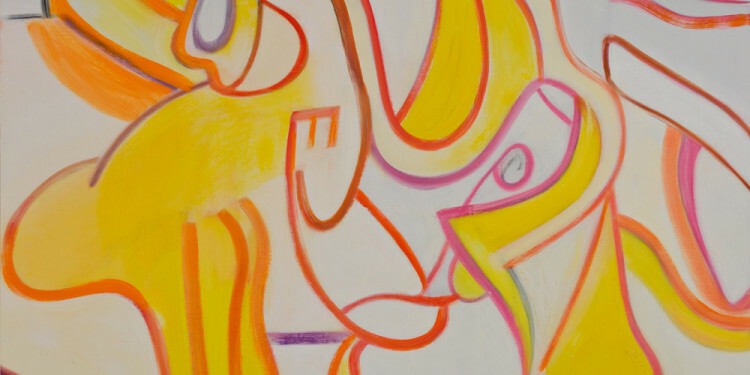 The exhibition has been realized with the cooperation of Willem Kooning Foundation, Johanna Liesbeth de Kooning Trust and Lisa de Kooning, artist’s daughter. The exhibition shows the works realized by the artist in about seventy years of artistic activity, from 1916/17 to 1987; the most recent and the 1990 last work excluded. In such a sense it is still exciting the recollection of Mark Rotko’s exhibition at Paris Musée d’Art Moderne (14 January-19 April 1999) where it was shown the traumatic newest work: 1970 announcement for suicide. 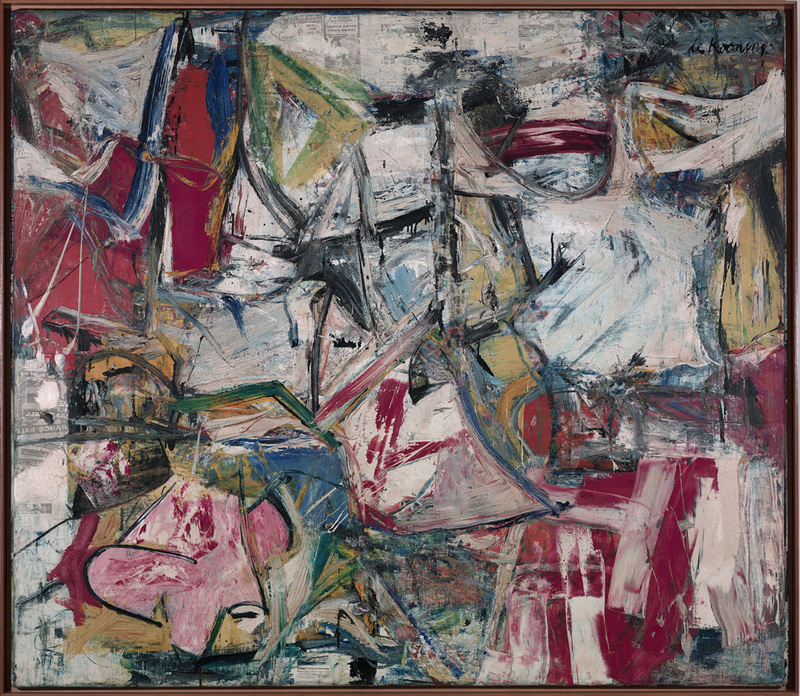 It is even unforgettable the 1951 well-known “Life” picture where Rotko and de Kooning among other artists witness that “irascible group of advanced artists led fight against show” will be “the image whereby we envision the artists who achieved the triumph of American painting” as the Historician Irving Sandler wrote. 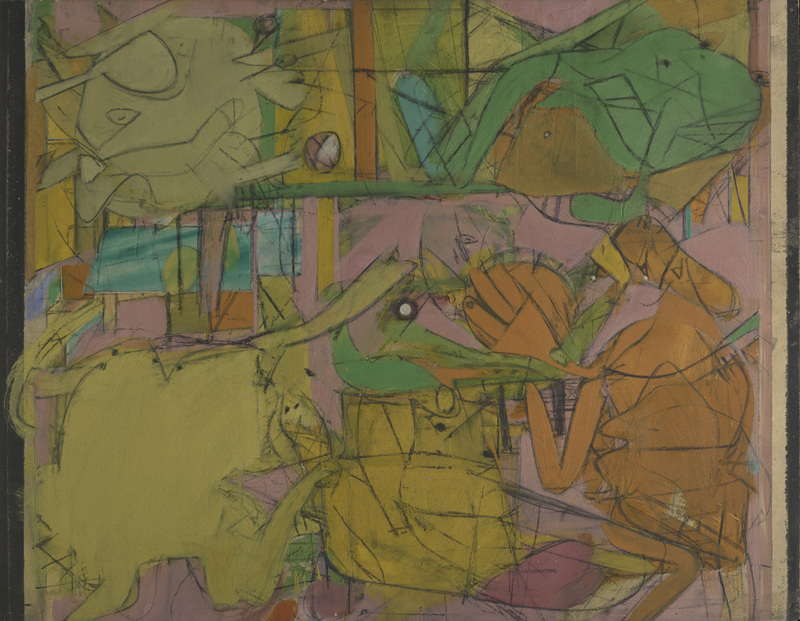 De Kooning exhibition is planned in uttermost compliance with the procedure introduced by the essay of John Elderfield “Space to Paint”. The pathway starts with the presentation of his works made from the age of 12 years, when he was working as an apprentice at Gidding and Zonen prior his registration at the Academy Van Beeldende Kunsten in Techische Wetenschappen in Rotterdam from 1917 to 1921. The catalogue examines the technics of his early works (Still life, Oil on cardboard, 1916/17) and it relates on the relationship between the space of canvas and the vision devised day by day, according to what said by the same artist to the publisher and writer Thomas B. Hess during 1972. 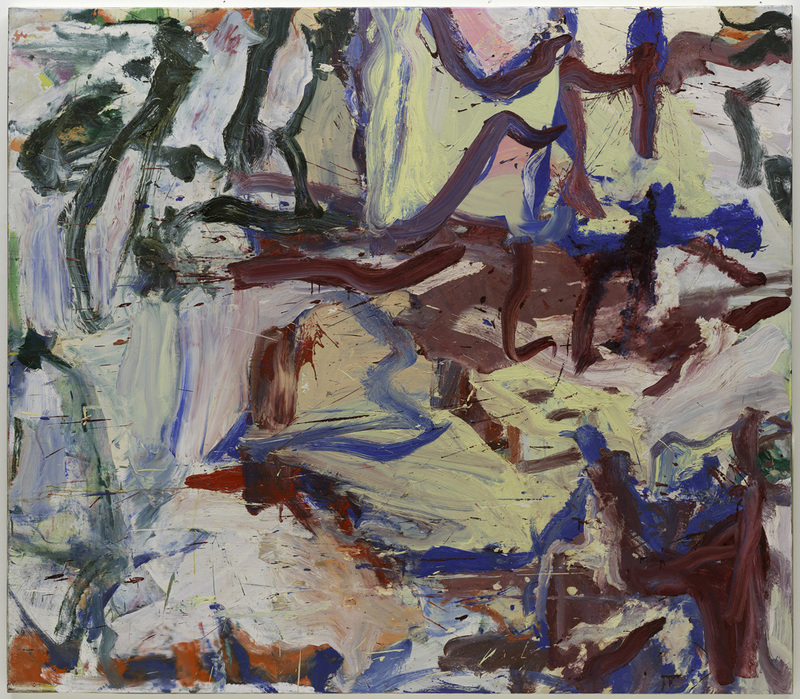 Professor Heyberg’s suggestions to paint with no ideas, to paint what they saw and not what they thought, involve him deeply into the exploration of many subjects. During 1926 the artist landed clandestinely in the U.S. where he helped himself with casual works and cheap artistic works. During 1962 he got the American citizenship. The show rooms have been partitioned into galleries that propose the whole different expressive periods, offering a catalogue with a long artistic and biographic history references: “Early Work “(1904-1937); “Men, Women and Interiors” (1938-1945); “Pink Angel to Black-and-White” (1946-1948); “Around Excavation” (1948-1950); “Woman to Landscape” (1950-1956); “Full Arm Sweep “(1957-1963); “Starting over in Spring” (1957-1963); “New Directions” (1969-1978); “The Late Paintings” (1979-1997). 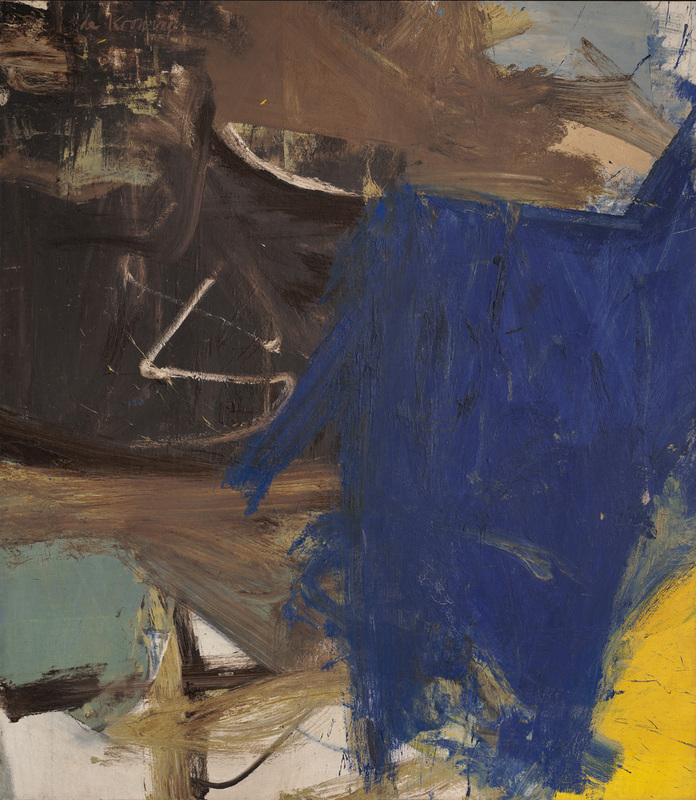 Inside the exhibition flows de Kooning’s continuity for the linguistic “recherché”, characterized by fundamental transitions, liberated of traditional expressiveness, towards the sweep authenticity lived as a real personal experience. 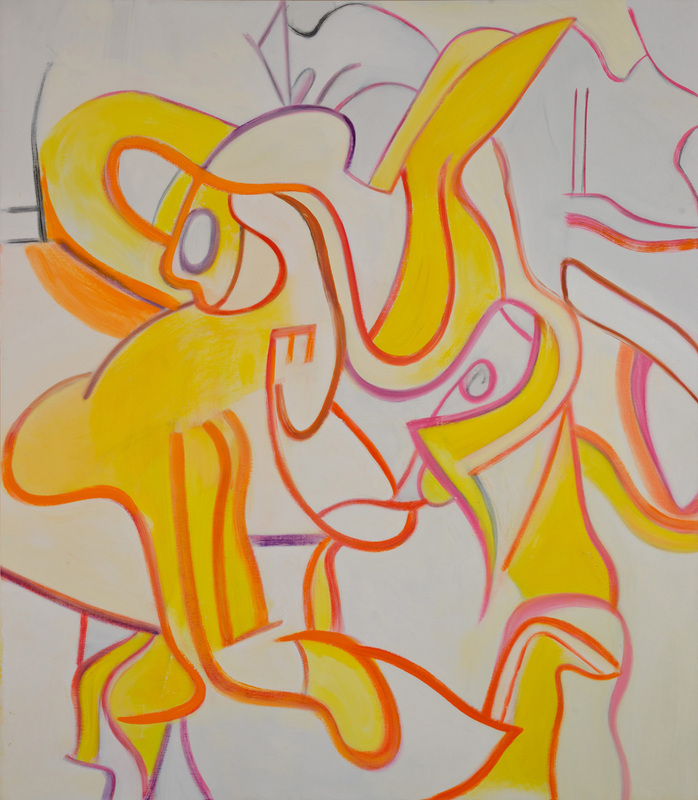 In the space-figurative elaboration of de Kooning’s American early works, “Still Life” (1927), “Still Life” (1929), he takes inspiration from Matisse for the cobalt-violet (The Moroccans, 1916) and for decorative sense of the environments (Seated Odalisque, 1926). 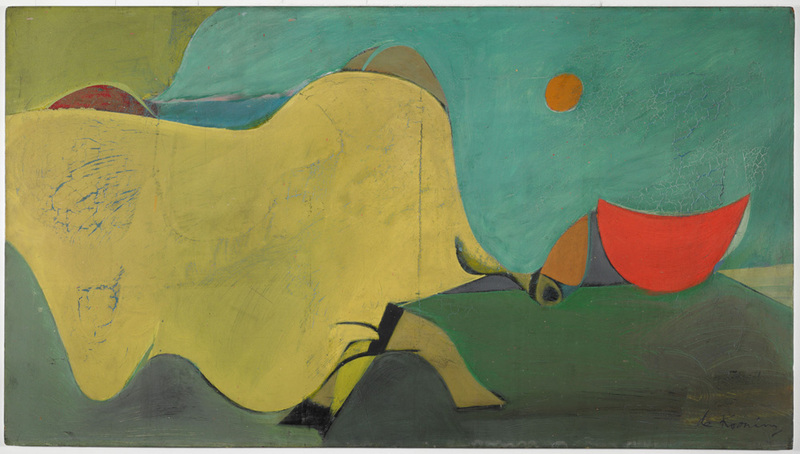 The younger de Kooning was influenced first from the retrospective of Matisse and afterwards from the exhibition of Giorgio de Chirico at Valentine Gallery in New York. From his work “Untitled” (1928) it seems to give away a chromatic and spatial concept of objects that could be traced back to de Chirico’s metaphysical poetry. 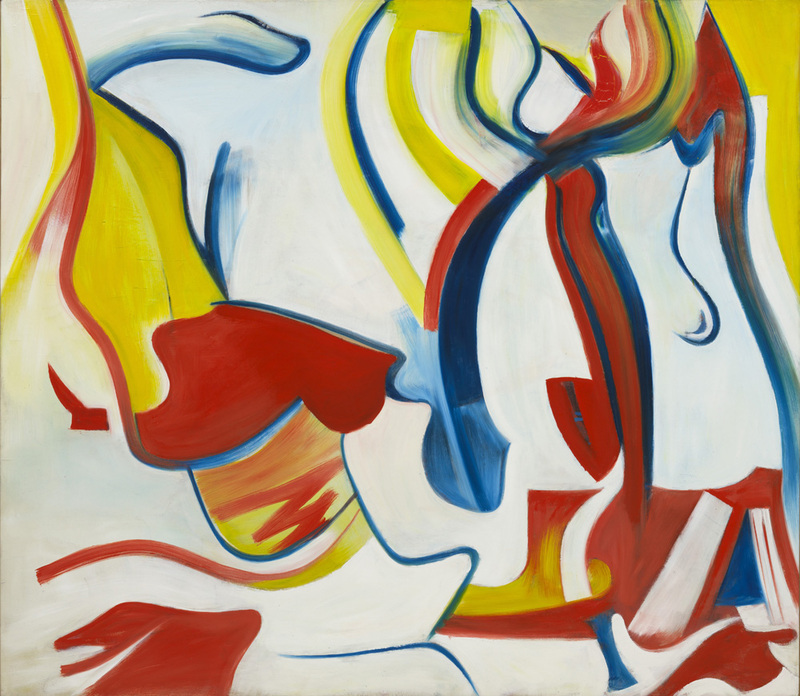 This is his last work prior to his participation in the Federal Art Project, where for the first time de Kooning feels to be involved through the contribution of his own art in the American life and history. In his precious gouache “Study for the Williamsburg Project” (1936), in his aquarelle “Untitled” (1937), in his oil painting “Father, Mother, Sister, Brother” (1937), “Untitled” (1938) the artist lands at the free colour-space, vibrant within lines of grown expressivity which are arranged at the rhythm of a poem beyond any codified relation, almost in witness of the important period for the connections with Picasso, Léger, Arshile Gorky, to whom he was tied by a close friendship. For the President Franklin D. Roosvelt’s partly supported New Deal Program, the division of the “WPA” (Works Project Administration) brings in again the “Great Depression” economy through a project involving artists of abstractionism and of expressive realism in order to realize particular public murals. 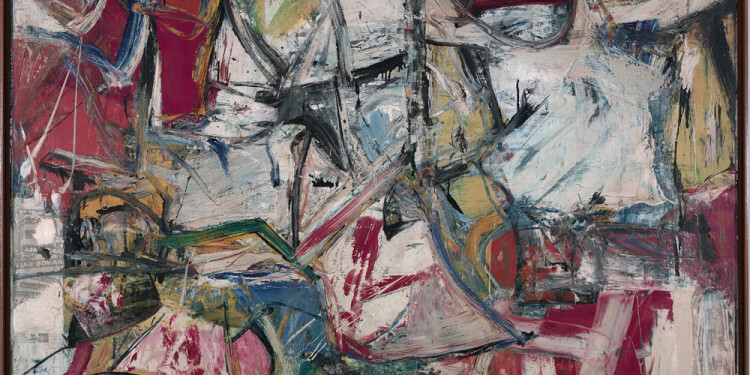 de Kooning could realize no projected murals at all. Some of them have been lost due to the political problems of those years because of the affiliation of Léger to the communist party. The studies for Williamsburg Project have been inserted in the exhibition “New Horizon in American Art” (1936) at the Museum of Modern Art. The WPA experience inside the expressive pathway leads to a process of abstraction into the shape simplification, underwrites the pleasure for the colour balance that through different modulations produces a white centre. 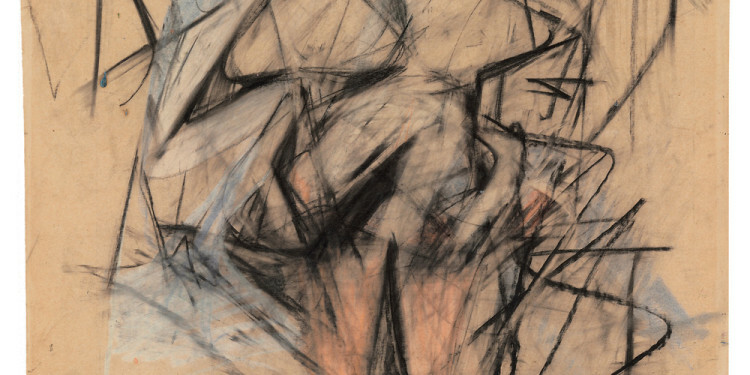 Back in 1930 de Kooning’s art opens up to a sense of freedom. 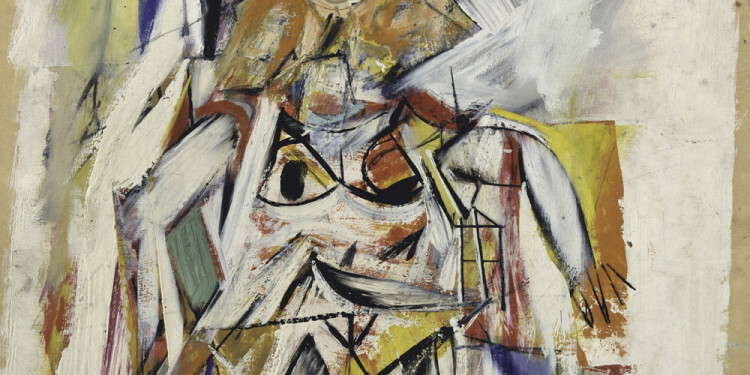 Sweetness connotes the “Portraits Drawings”: “Self Portrait with imaginary Brother” (1938), “Portrait of Elaine” (1940-41, c.), whose control of the mark seems to trace back the academic course. In the current years the artist with the series of “Paintings of Men” introduces a new attention for the figure, with a sense of grotesque, he is under Pieter Brueghel and Elder and Hyeronimus Bosch’s spell (Figure, 1944). 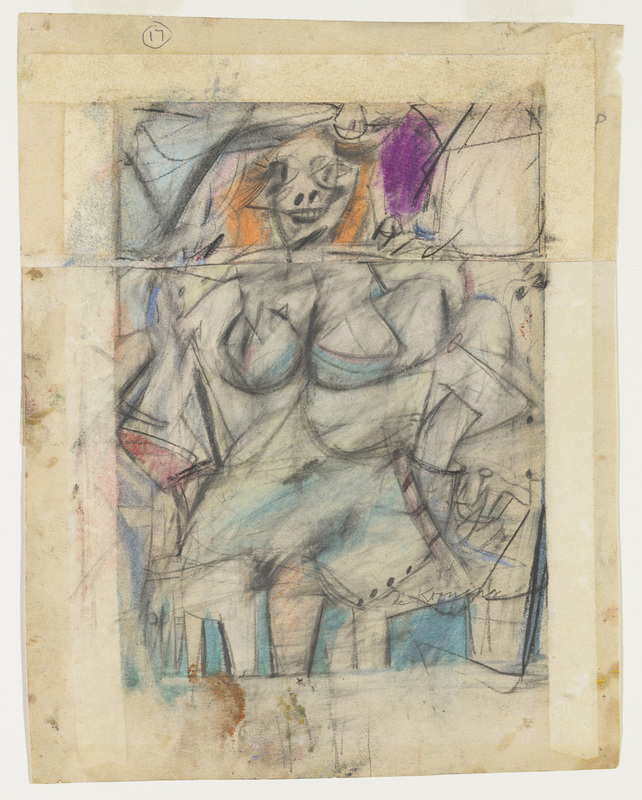 Next it is the cycle “Woman” (1942), “Woman Sitting” (1943-44), “Queen of Hearts” (1943-46), whose working outline is covered by particular brush strokes, by chromatic revisions applied in the space around the figure. 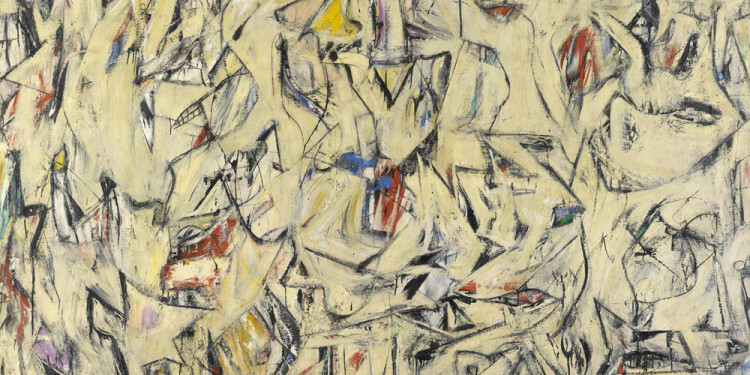 The succession of the canvas piece together de Kooning’s sentimental philology and his passion shared between the Italian art, from Giotto to Duccio di Buoninsegna, and Picasso. In “Special Delivery”, “Fire Island”, “Backdrop for Labyrinth” the artist experiences the colour as freedom of formal worries and the lines seem to be born deep down. 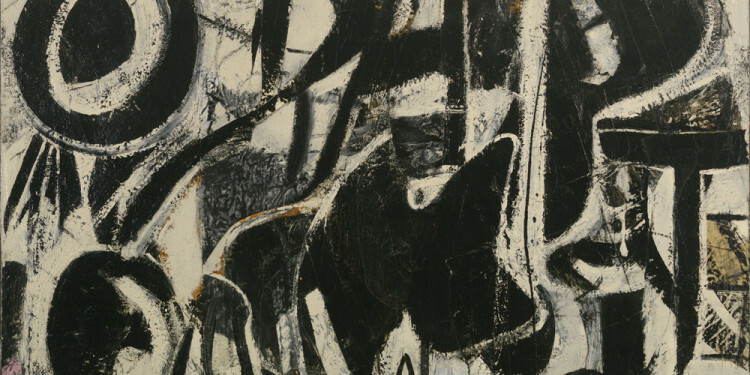 In such a sense the work “Judgement Day” (1946) is triumphant because it reveals a texture with different levels. The artist contained the oil backgrounds with charcoal strokes and film of glass powder or mica. The work frees a great dynamism steeped in a Pompeian light. 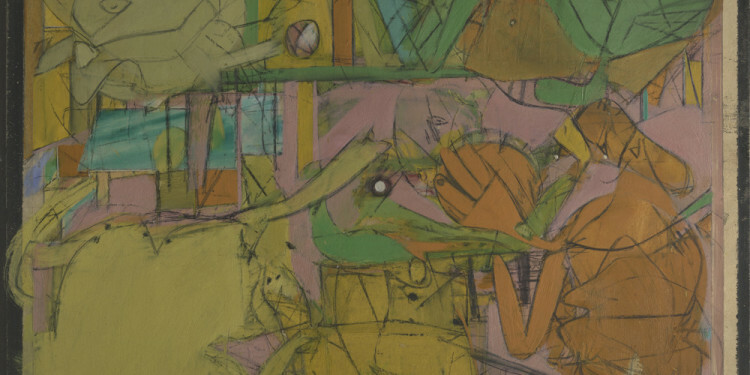 The exhibition collects the works shown during his first 1948 one-man exhibition at Charles Egan Gallery in New York, by which de Kooning established himself for the first time in public. 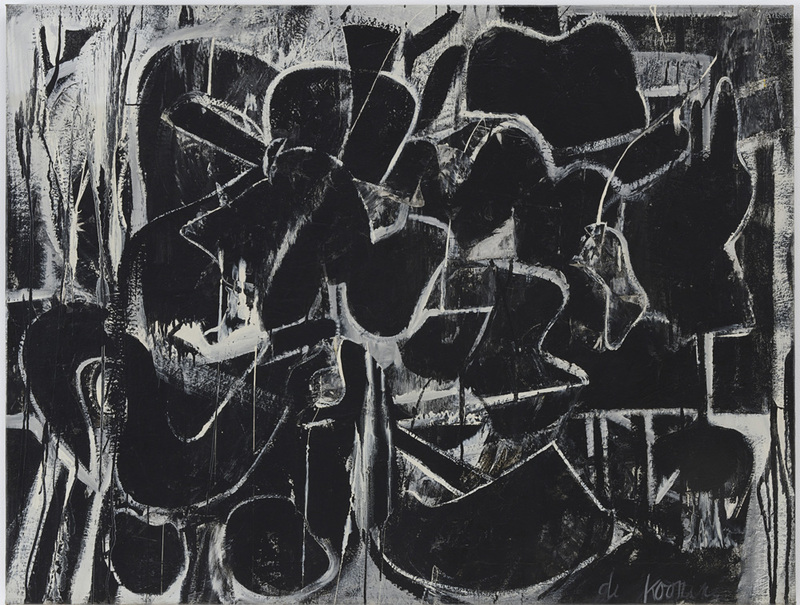 The process of abstraction reaches a wonderful expressive mellowness as in “Black Friday” and “Painting” (1948). The black paint flows on canvas wide-ranging, turning towards a blaze of light. For Barnett Newman such a path towards the black was a way to clean the canvas, a way to catch up with the ideas the artist was required of. 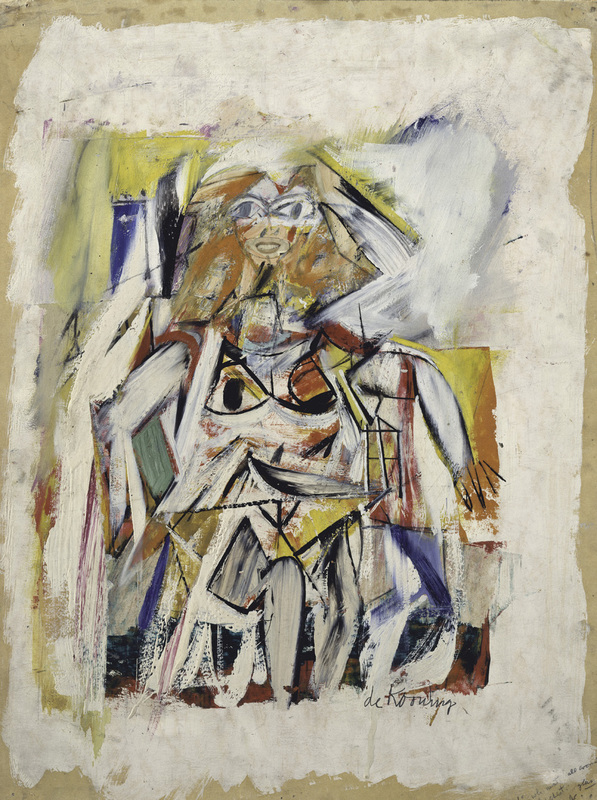 de Kooning goes on with his course as far as he achieves the hieratic abstraction with “Woman” (1948), “Figure” (1949), “Woman” (1949-50), “Woman” (1950) expression of the American modernist painting sponsored by Greenberg. 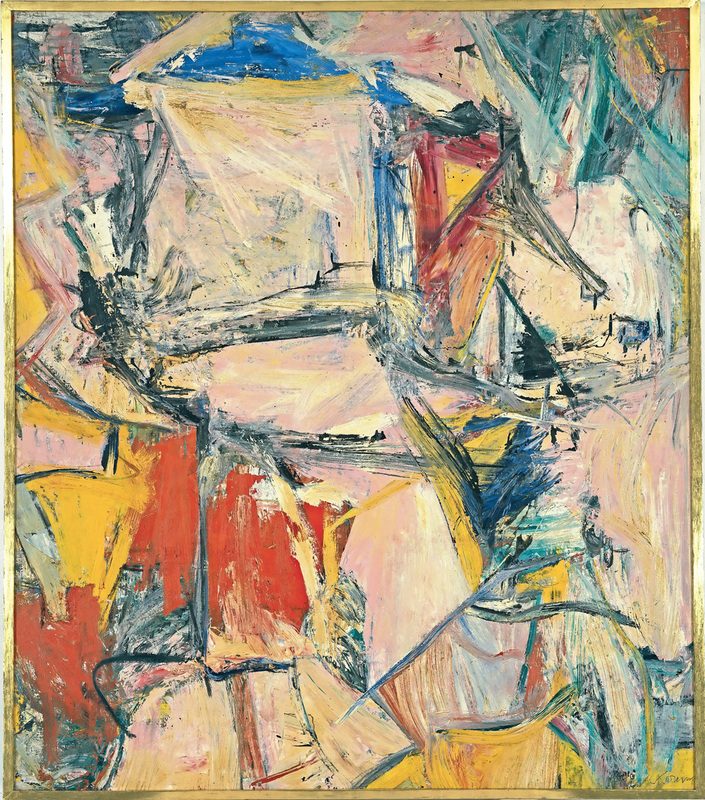 The woman theme is repeated in de Kooning’s painting through a search of lines, of marks that express the complexity of existence, of context, of historicocultural connections. In transforming the imagine it is constant the element of the gaze, the power of the eyes passing through dynamisms and colours. 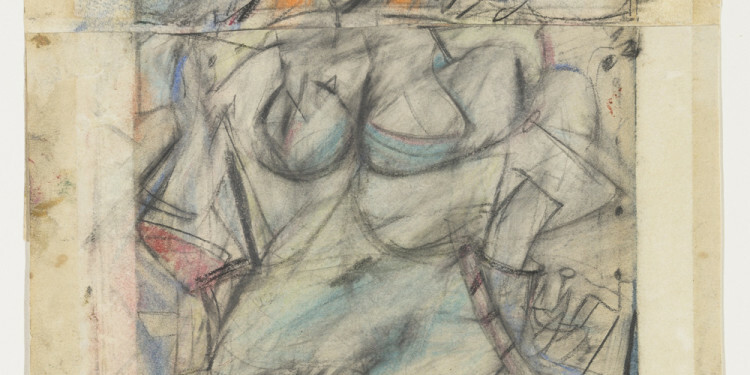 In such a sense an exception is “Two Women” (Study for Clam Diggers, 1961-1963), “Clam Diggers” (1963). The feminine characters display a seductive image, mostly rose, lipstick and enamel, which they are secure markers in a quivering outline, almost elaborated in the East End of Long Island bucolic landscapes where the artist went for his sixty. 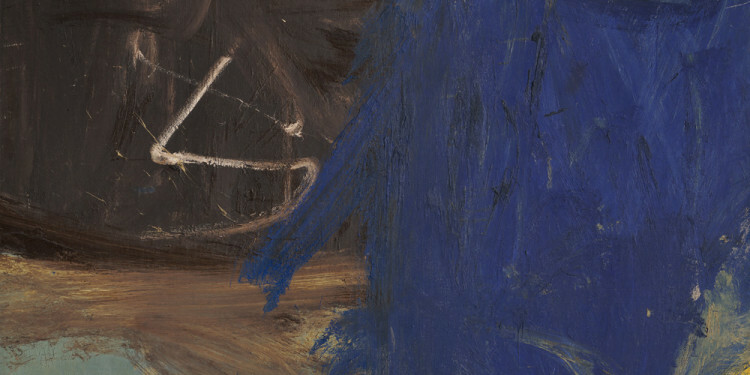 The “Abstract Pastoral Landscapes” are an exciting cross-section of the exhibition. Extended marks of a prolonged breath spread colours out like events of light. 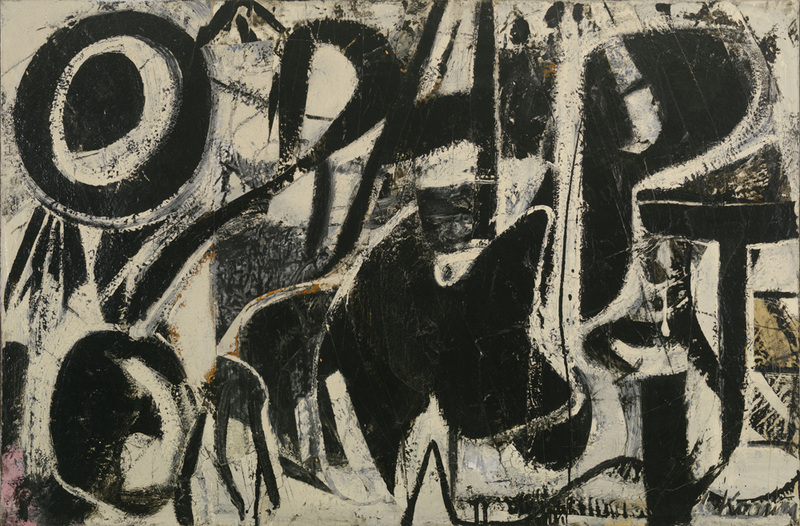 “Door to the River” (1960), “Rosy – Fingered Dawn at Louse Point” (1963) and particularly “A Tree in Naples” (1960) represent a moment of great openness and reflection. 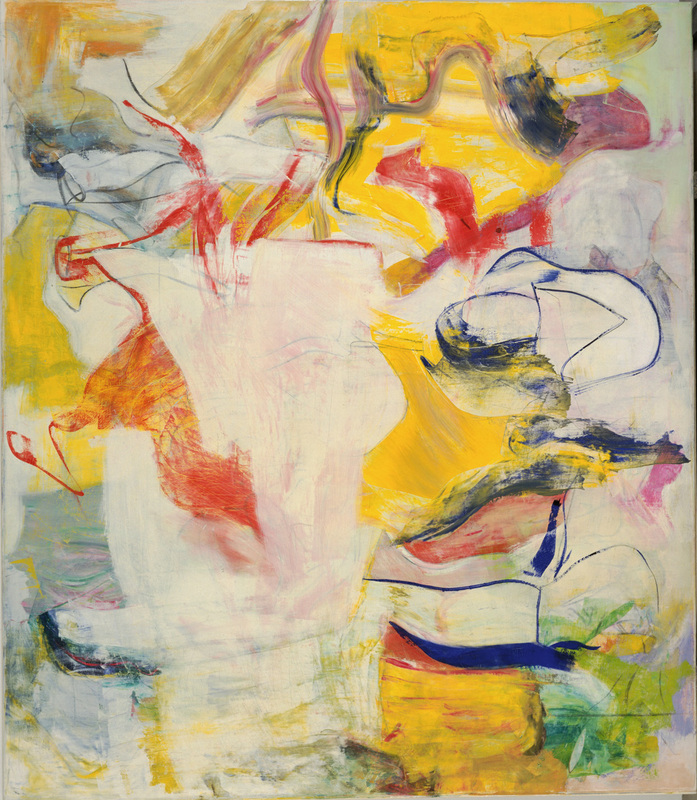 With the works “Woman” (1964-65), “July Fete in Plattsburg” (1964), “Woman, Sag Harbor” (1964) the artist takes again the exasperated dimension of the stroke, that overpower the figure, starting from the body and spreading all over the rest of it. The sign and chromatic power is spread over a large area where it proposes chromatic proportions and harmonies that have characterized his younger works. 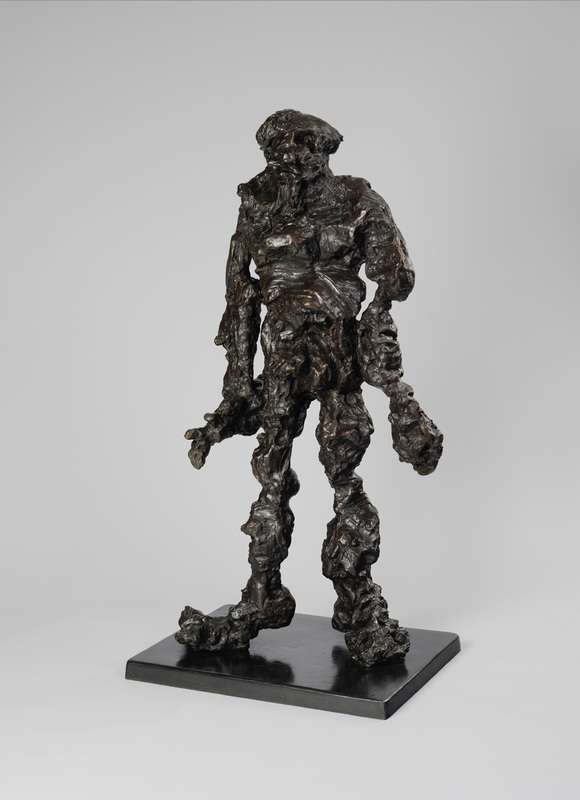 The retrospective dedicates a section to de Kooning’s sculpture, the sole Abstract Expressionist artist of his generation that devotes himself to sculpture with bronze as traditional medium. 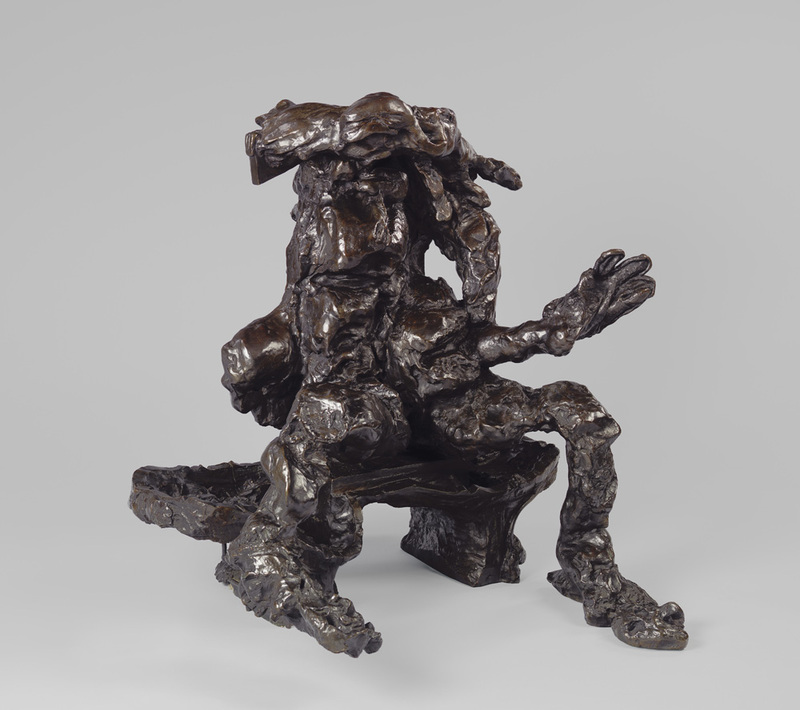 The small sculptures, shaped by hands, are reproduced in larger-sized dimensions returning the painting’s mark, such as Clam Digger (1972). The exhibition ends with the last works connoted by large marks, softly swaying, supported by black handwritings. 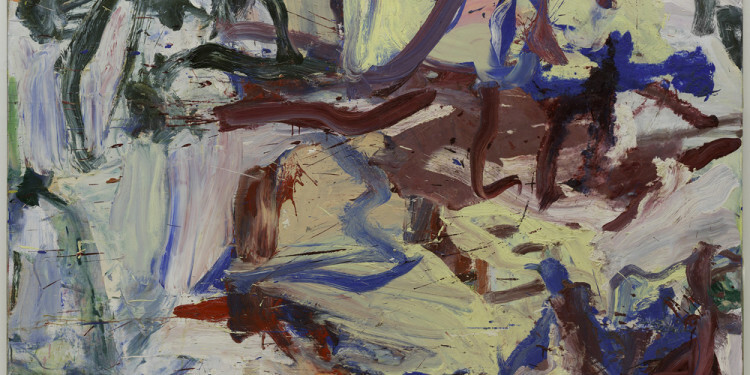 The last sections “White Paintings, Garden Painting” gather his works from 1983, with white surfaces whose coloured lines clip pathways and crossings, bounding new spaces. The white of the surface enhances the chromatic dynamism, the freedom of luminist colour, free of any referent. De Kooning’s painting goes beyond the connection with the figure; the body became a line, colour, pure essence, the triumph of the excavation work sought throughout many years. Testo di Vittoria Biasi – Copyright 1F mediaproject. 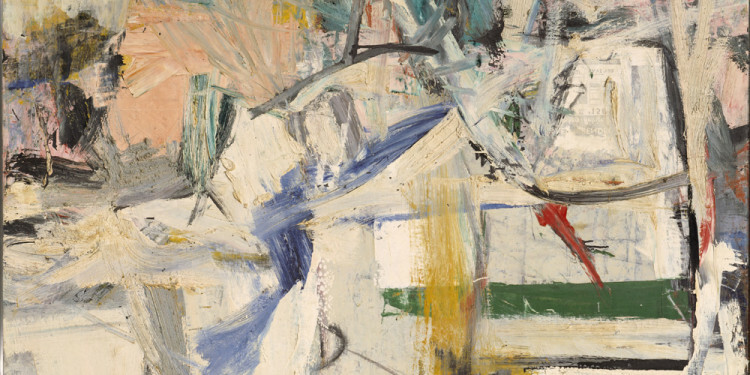 Il Museum of Modern Art prosegue la straordinaria tradizione di proporre mostre personali dei più importanti artisti con la retrospettiva di de Kooning. Il MoMA è stato il primo a presentare negli Stati Uniti, nel 1969, la prima retrospettiva dell’artista. 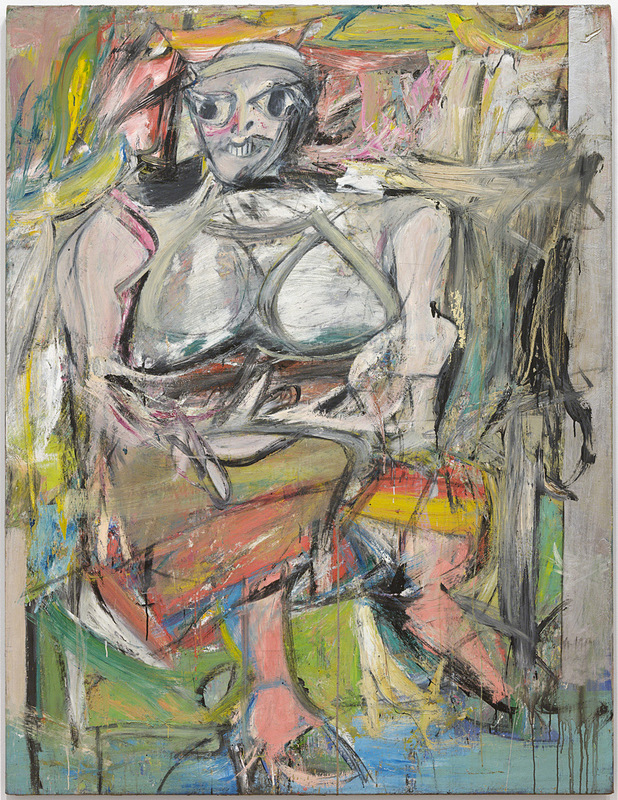 La mostra è accompagnata dalla pubblicazione “de Kooning. A retrospective” con il saggio introduttivo di John Elderfield, Chief Curator Emeritus Scultore e Pittore, e i contributi di Lauren Mahony, Jennifer Field, Delphine Huisinga, Jim Coddington, Susan F. Lake. 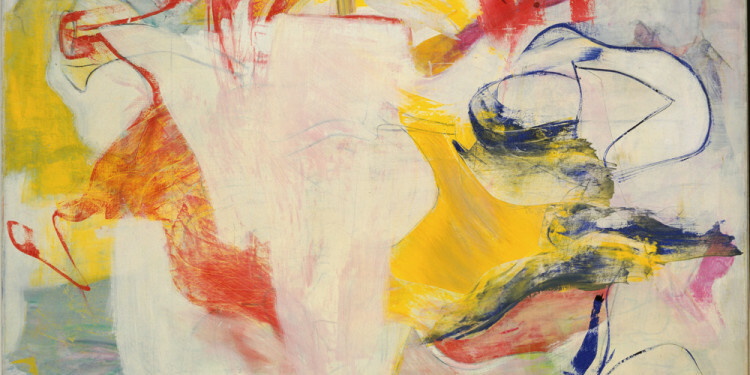 La mostra è stata realizzata in collaborazione con Willem Kooning Foundation, con Johanna Liesbeth de Kooning Trust e grazie anche alla collaborazione della figlia dell’artista Lisa de Kooning. Sono esposte le opere realizzate dall’artista dal 1916/17 al 1987, circa settanta anni dell’attività artistica, escludendo i lavori degli ultimi anni e anche l’ultima opera del 1990. In tal senso è ancora emozionante il ricordo della mostra di Mark Rotko al Musée d’Art Modern di Parigi (14 gennaio-19 aprile 1999) con l’inclusione dolorosa dell’ultima opera, annuncio del suicidio del 1970. In tal senso è anche memorabile la celebre foto del 1951 per la rivista Life, in cui Rotko e de Kooning, con altri artisti, testimoniano che l’ ‘irascible group of advanced artists led fight against show’ sarà, come scrisse lo storico Irving Sandler, ‘the image whereby we envision the artists who achieved the triumph of American painting’. 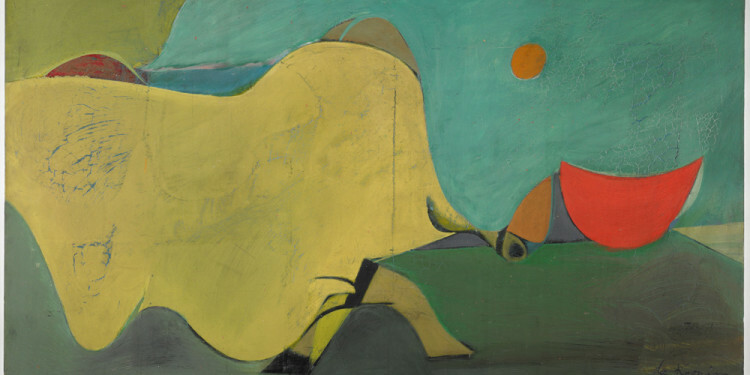 La mostra su de Kooning è impostata con estrema osservanza del procedimento poeticamente introdotto da John Elderfield nel saggio Space to Paint. Il percorso inizia con la presentazione delle opere realizzate dall’artista dall’età di dodici anni, quando lavorava come apprendista presso Gidding & Zonen prima di iscriversi all’Accademia van Beeldende Kunsten in Techische Wetenschappen di Rotterdam dal 1917 al 1921. Il catalogo esamina la tecnica delle opere giovanili (Still Life 1916/17, Oil on cardboard) e riporta la relazione tra lo spazio della tela e la visione costruita giorno per giorno, secondo la visione riferita dallo stesso artista nel 1972 all’editore e scrittore Thomas B. Hess. I consigli del professore Heyberg di dipingere senza idee, di dipingere ciò che vedevano e non ciò che pensavano, coinvolgono fortemente de Kooning nell’esplorazione di molti soggetti. Nel 1926 l’artista approda, da clandestino, negli Stati Uniti sostenendosi con attività di emergenza e con lavori artistici commerciali e nel 1962 diviene cittadino americano. Lo spazio espositivo è suddiviso in sale che propongono in modo completo i differenti periodi espressivi, ricchi di riferimenti storico-artisti e biografici all’interno del catalogo: Early Work (1904- 1937); Men, Women and Interiors (1938- 1945); Pink Angel to Black-and-White (1946-1948); Around Excavation (1948-1950); Woman To Landscape (1950-1956); Full Arm Sweep(1957-1963); Starting Over in Springs (1957-1963); New Directions (1969- 1978); The Late Paintings (1979-1997). 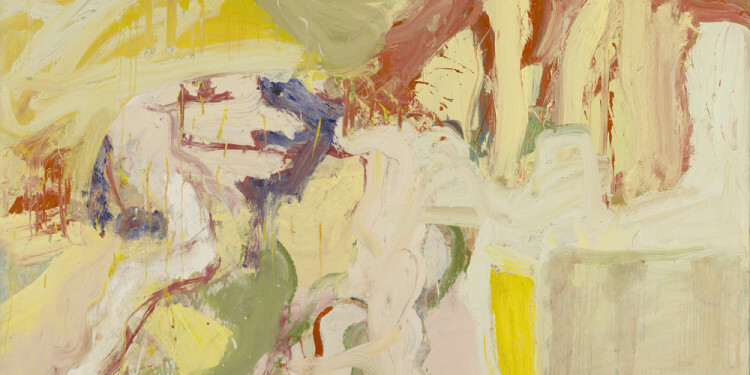 All’interno della scansione espositiva scorre la continuità della ricerca linguistica di de Kooning, contrassegnata passaggi fondamentali, di affrancamento dalle espressività tradizionali, verso l’autenticità del segno vissuto come esperienza personale. 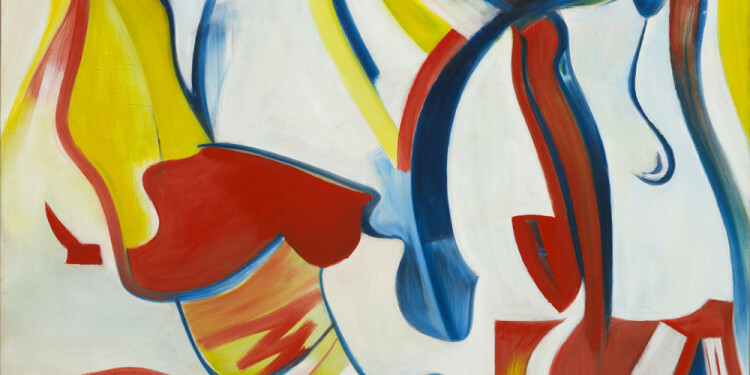 In tal senso, l’elaborazione spazio-figurativa delle prime opere americane di de Kooning, Still Life (1927), Still Life (1929), si ispira a Matisse per l’uso del cobalt violet (The Moroccans,1916) e il senso decorativo degli ambienti (Seated Odalisque, 1926). 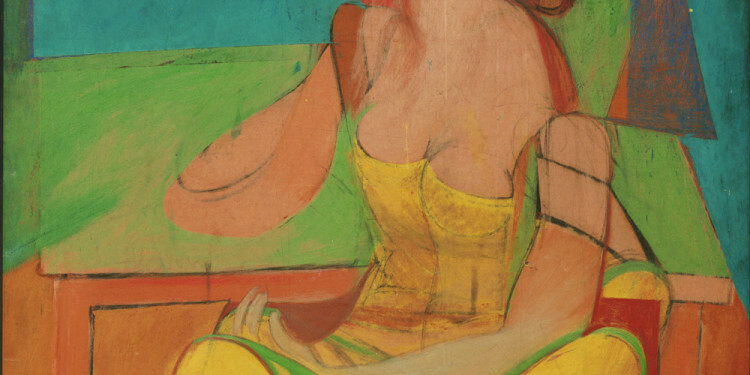 Prima la retrospettiva di Matisse e successivamente la mostra di Giorgio de Chirico della Valentine Gallery di New York influenzano il giovane de Kooning. Dall’opera Untitled (1928) sembra trapelare una concezione spaziale e cromatica degli oggetti riconducibile alla poetica metafisica di de Chirico. 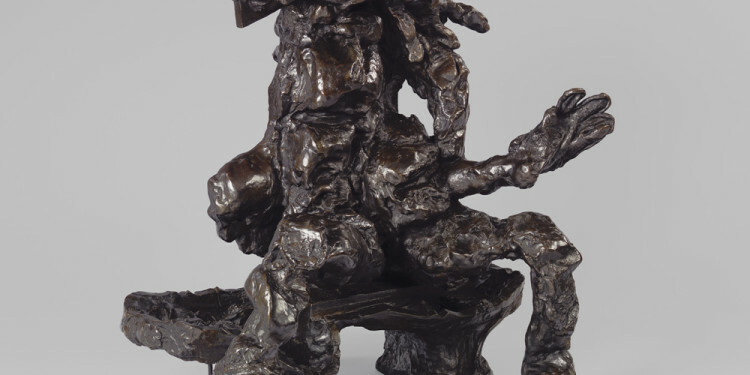 Questa è l’ultima opera prima della partecipazione al Federal Art Project, in cui per la prima volta de Kooning sente di essere nella vita e nella storia Americana con il contributo della sua arte. Nella preziosa gouache Study for the Williamsburg Project (1936), nell’acquarello Untitled (1937), nel dipinto a olio Father, Mother, Sister, Brother (1937), Untitled (1937), Untitled (1938) l’artista approda al colore-spazio libero, vibrante entro linee espressivamente mature, ordinate su ritmi poetici oltre ogni rapporto codificato, quasi a testimonianza del periodo importante anche per i rapporti con Picasso, con Léger, con Arshile Gorky, cui sarà legato da profonda amicizia. Per il New Deal Program, in parte sostenuto dal Presidente Franklin D. Roosvelt, la divisione del Works Progress Administration (WAP) rilancia l’economia della Great Depression con un progetto coinvolgente artisti dell’astrazione e del realismo espressivo per la realizzazione di particolari murali in spazi pubblici. 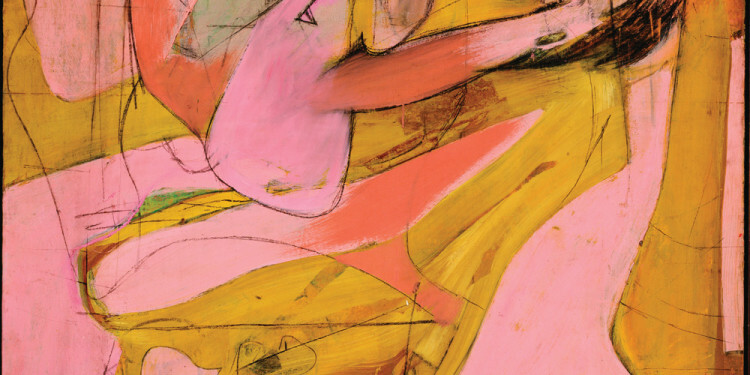 de Kooning non ha potuto realizzare nessuno dei murali progettati. Alcuni progetti sono stati smarriti a causa delle problematiche politiche di quegli anni verso il partito comunista, a cui Léger era affiliato. Gli studi per il Williamsbourg Project sono stati inseriti nella mostra New Horizons in American Art (1936) del Museum of Modern Art. L’esperienza WPA all’interno del percorso espressivo introduce il procedimento di astrazione nella semplificazione della forma, sottolinea il piacere dell’equilibrio coloristico che, attraversando differenti modulazioni, costruisce un epicentro bianco. 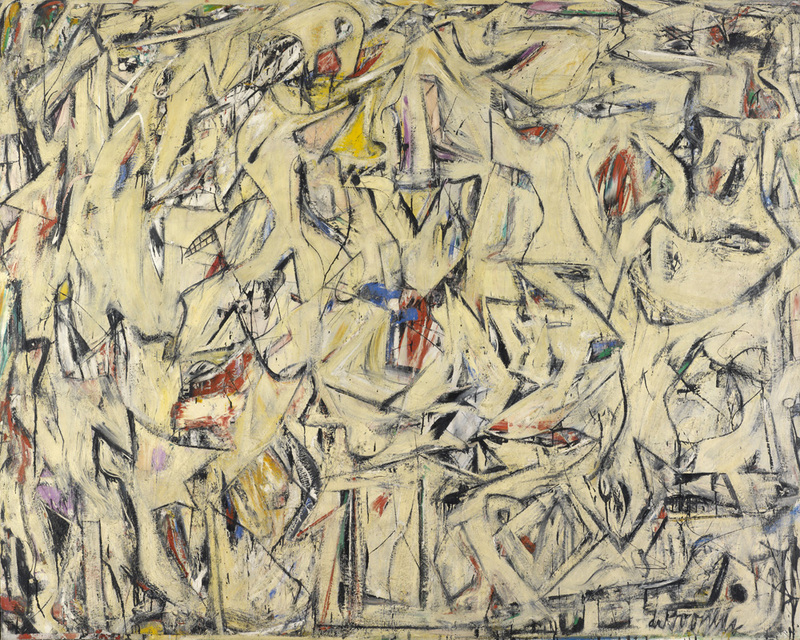 Già dal 1930 l’arte di de Kooning si sta aprendo verso un senso di liberazione. Una dimensione di soavità connota i Portraits Drawings: Self-portrait with Imaginary Brother (1938), Portrait of Elaine (c.1940-41) in cui il controllo del segno sembra richiamare il percorso accademico. Negli stessi anni l’artista con la serie di Paintings of Men introduce una nuova attenzione per la figura, con un senso del grottesco, con il fascino per Pieter Brueghel e Elder e Hyeronimus Bosch (Figure 1944). 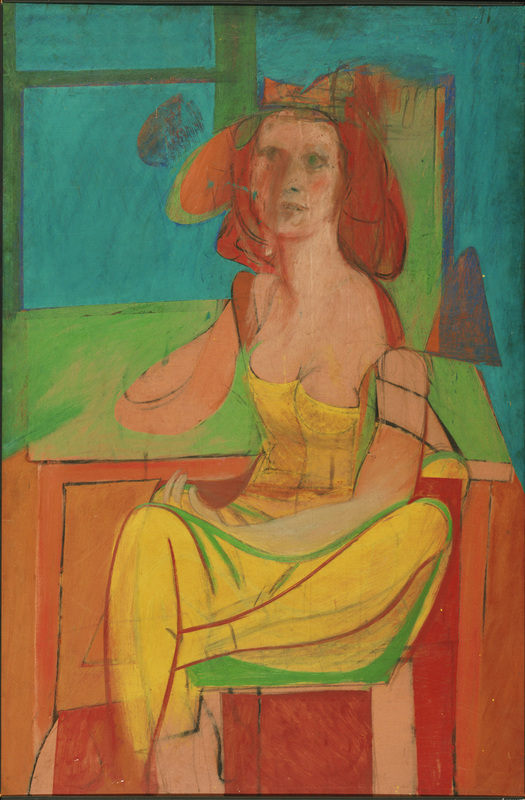 Segue il ciclo intitolato Woman: Woman (1942), Woman Sitting (1943-44), Qeen of Hearts (1943-46), in cui il disegno preliminare è coperto da pennellate particolari, da revisioni cromatiche applicate nelle aree attorno alla figura. La successione delle tele ricostruisce la filologia sentimentale di de Kooning e la sua passione divisa tra l’arte Italiana, da Giotto a Duccio di Buoninsegna, e Picasso. Nelle tele Special Delivery, Fire Island, Backdrop for “Labyrinth” l’artista vive il colore in libertà da preoccupazioni formali e le linee sembrano nascere dal profondo. In tal senso è trionfante l’opera Judgment Day (1946) che rivela una texture a differenti livelli. L’artista ha delimitato le campiture a olio con tratti di carboncino e veli di polvere di vetro o mica. L’opera libera un forte dinamismo immerso in una luce pompeiana. 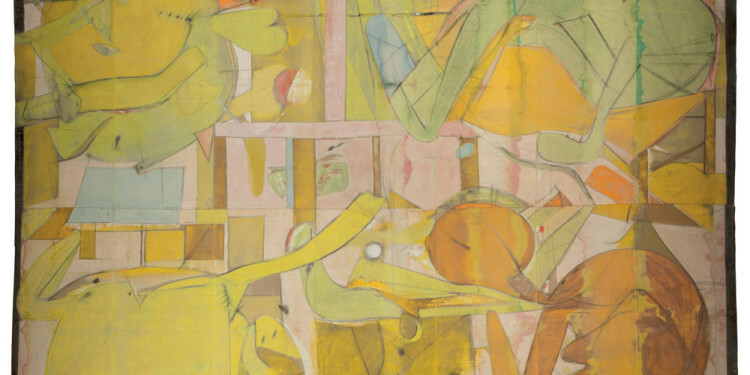 La mostra raccoglie le opere esposte nella prima personale del 1948 presso la Charles Egan Gallery in New York, con cui de Kooning si affermò pubblicamente per la prima volta. Il procedimento di astrazione raggiunge una stupenda maturità espressiva come in Black Friday e Painting (1948). La pittura nera scorre sulla tela ricca di respiro, volgendo verso bagliori luminosi. Per Barnett Newman questa via verso il nero era una forma di pulizia della tela, un modo per raggiungere le idee di cui l’artista necessitava. 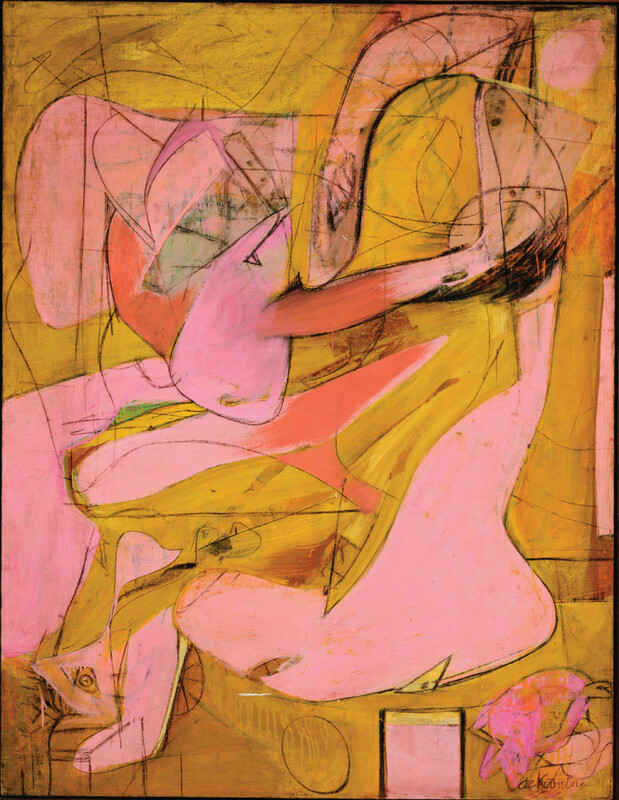 de Kooning prosegue nell’esercizio del suo percorso raggiungendo la ieraticità dell’astrazione con Woman (1948), Figure (1949), Woman ( (1949-50), Woman (1950) espressione della pittura modernista americana sostenuta da Greenberg. 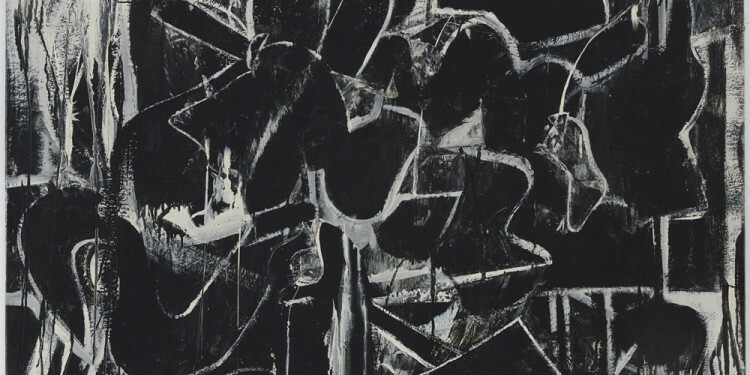 Il tema della donna è ricorrente nella pittura di de Kooning con una ricerca di linee, di segni volti ad esprimere la problematicità dell’esistenza, del contesto, delle relazioni storico-culturali. Nella trasformazione dell’immagine rimane costante l’elemento dello sguardo, la forza delle pupille che attraversa dinamismi e colori. 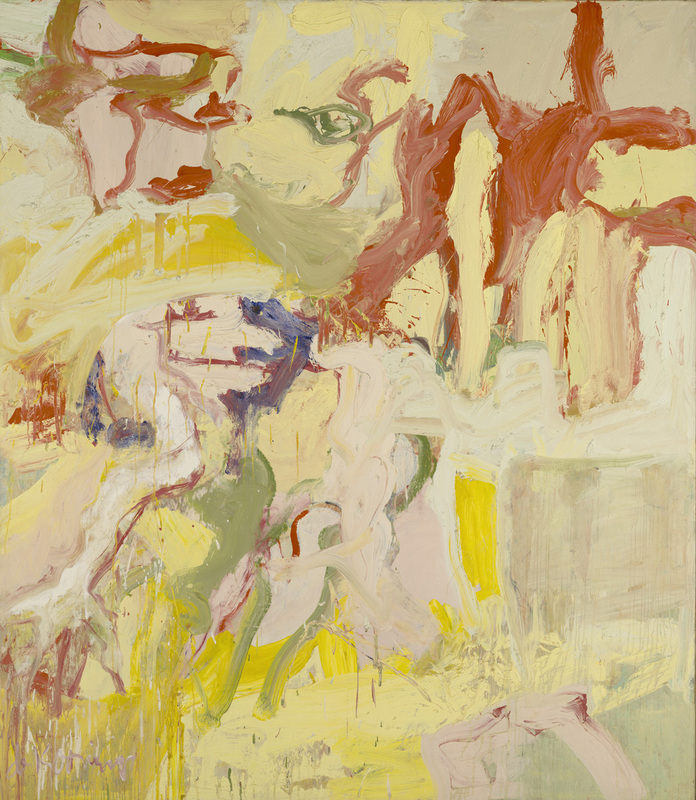 In tal senso un’eccezione è costituita da Two Woman (Study for Clam Diggers 1961-1963), Clam Diggers (1963). Le figure femminili esibiscono un’immagine seducente, prevalentemente rosa, con rossetto e smalto, che sono segnali fermi in un contorno tremulo, elaborati quasi nei paesaggi pastorali dell’Est End of Long Island, dove l’artista si reca per i suoi sessant’anni. 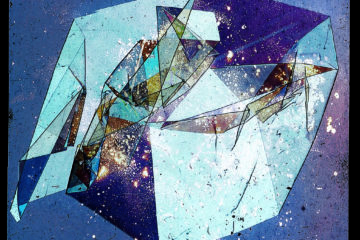 Gli Abstract Pastoral Landscapes sono uno spaccato emozionante nella mostra. Segni distesi di prolungato respiro distendono colori come memorie di luce. Door to the River (1960), Rosy –Fingered Dawn at Louse Point (1963) e in particolare A Tree in Naples(1960) rappresentano momenti di grande aperture e riflessione.In Woman (1964-65), July Fete in Plattsburg (1964), Woman, Sag Harbor (1964) l’artista riprende la dimensione esasperata del segno, che travolge la figura, partendo dal corpo e diffondendosi per il resto del corpo. L’energia cromatica e segnica è distribuita in una vasta area, proponendo rapporti, equilibri cromatici che hanno connotato le opere giovanili. 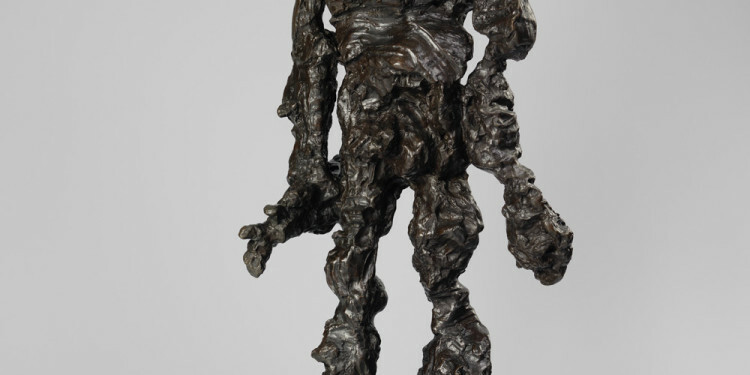 La retrospettiva dedica una sezione alla scultura di de Kooning che è l’unico artista della sua generazione di Espressionisti astratti ad essersi dedicato alla scultura scegliendo il medium tradizionale del bronzo. Le sculture piccole, modellate tra le mani, sono riprodotte in dimensioni più grandi riportando i segni della pittura, come Clam Digger (1972). La mostra si conclude con le ultime opere dai segni larghi, ondeggianti fluidamente, sostenuti da grafie nere. Le ultime sezioni White Paintings, Garden Paintings raccolgono i lavori dal 1983, con bianche superfici in cui linee colorate si ritagliano percorsi e attraversamenti, delimitando nuovi spazi. Il bianco della superficie esalta il dinamismo cromatico, la libertà luministica del colore, libero da ogni referente. 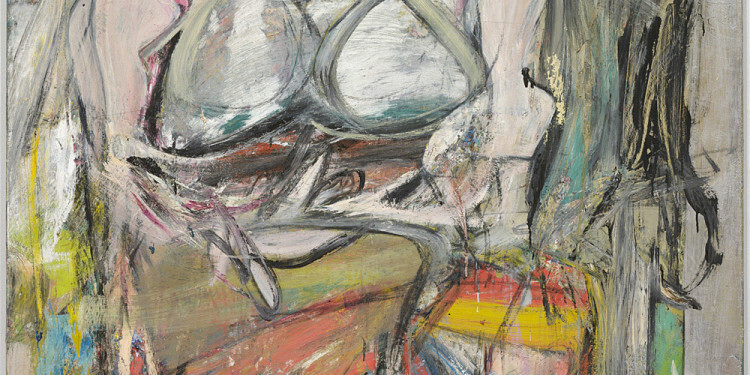 La pittura di de Kooning supera il rapporto con la figura: il corpo è divenuto linea, colore, essenza pura, trionfo del lavoro di scavo inseguito per molti anni. 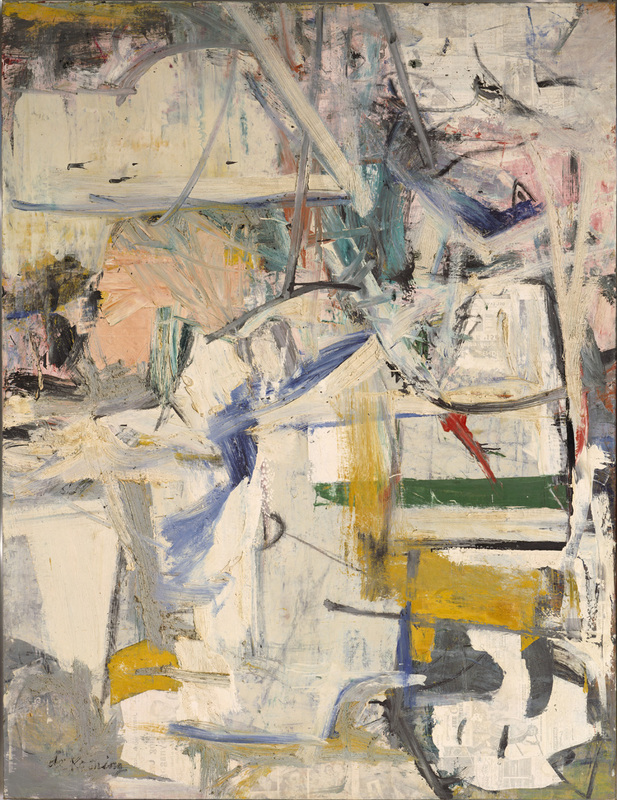 Friday, November 11, 2011, 10:00 a.m.–6:00 p.m.
A daylong series of talks and discussions, in which artists, critics, and scholars explore Willem de Kooning’s work, examining its processes, themes, and influences; its place in Abstract Expressionism; and its significance for the art of our time. 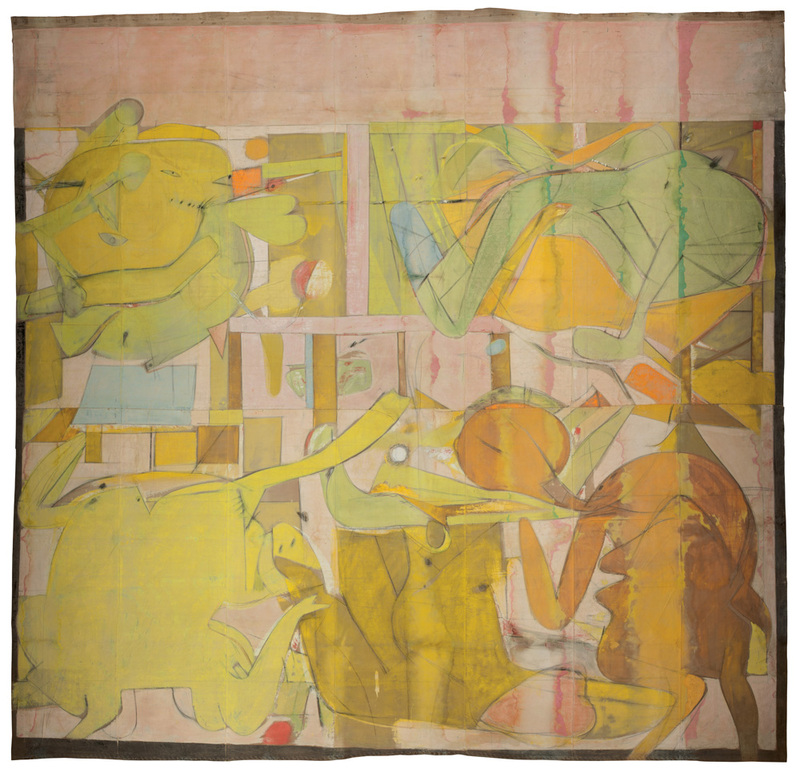 Participants include artists Cecily Brown, Tom Ferrara, and Terry Winters, and art historians William Agee, Klaus Kertess, Tom Ferrara, Richard Shiff, Katy Siegel, and others.